"SCIEMATLEY" Immaculate family home & garden set amongst vineyards and beautiful scattered red gums. Situated just 5 minutes from Penola in the South East of South Australia, this is a rare country lifestyle opportunity not to be missed. Lot 1 offers a stunning 306sqm home with gorgeous gardens, 110 acres of grazing land and 42.62 ML taking licence, 10 acres of Shiraz and 10 acres of Cabernet Sauvignon. Lot 2 offers 192 acres of grazing country complete with 80ML taking licence and 38 acre TL centre pivot. Don't miss this unique opportunity to acquire 221.82 acres (89.77 hectares) of great grazing country only minutes from Penola. Located in the Monbulla region, only 14kms from Penola, this allotment is a sheltered winter fattening block with great potential. The land is loam over clay, complemented by peat flats with established pastures of phalaris and clover. The setting is very picturesque with beautiful scattered redgums. The property offers good fencing and is serviced by windmills. Attractive Undulating Grazing Country. Located on Kantara Lane (off Phoines Rd) you'll find 205.41 acres of stunning grazing pasture only minutes from Casterton. The property is fenced into 9 main paddocks with access to reliable dam water. The property has a strong phalaris base pasture and a creek-line running along the western boundary as well as a high ridge line overlooking the property with limitless views over the Wando Vale valley. Improvements include a 3 bedroom timber home, cattle yards, sheep yards, hay shed, machinery shed and much more. 122.06 acres of undulating grazing country off Wando Vale Township Road. The property is fenced into 5 main paddocks and features south facing rises. Water is sourced by a large main dam and a smaller dam on the southern boundary. A great add on allotment with solid phalaris pastures, heavy loam soils, simple set of cattle yards and good fencing. AUCTION - Friday 9th November, 3pm. Casterton Football Clubrooms. 30 day settlement. 10% deposit on fall of the hammer. Located only 6kms from Penola of the Casterton Road, this parcel is a real opportunity for a person seeking a lifestyle property close to town. Under the red gums is a parcel of land on 56.30 hectares or 139.12 acres of prime grazing country. Split into four paddocks all watered by a solar setup, there is also a gravel pad ready for you to build your dream home as power is available on the allotment. Well worth an inspection it will impress. Auction 11th of November at 10am on Site. Contact Mark De Garis 0428372124. 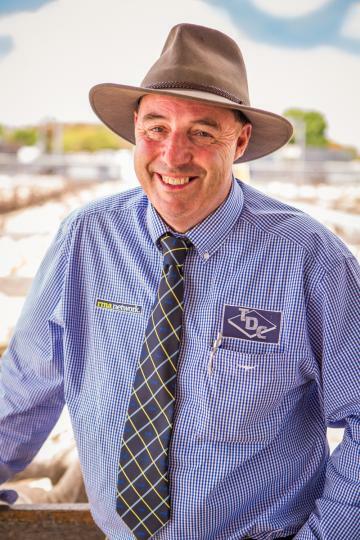 RAMILLIES Model Farm - A real opportunity. 617 Millers Lane Monbulla is located 12kms South from Penola and 50kms north of Mt Gambier in the South East of South Australia being 394kms from Adelaide, 431kms from Melbourne. The area is renowned for its abundant underground water resource and secure grazing as well as horticultural pursuits such as vineyards, potatos, onions and much more. The property is situated in the sort after red-gum belt between Penola and Kalangadoo. The property is predominately sandy loam over clay and limestone with pastures being phalaris/clover based. The property is a former soldier settlement allotment that has been free-holded for your purchase. The property will be offered as a whole being 634 Acres of prime Red Gum grazing country, If the property does not sell as a whole we will then offer subject to plan of subdivision belw with settlement taking place 14 days upon plan being deposited.